When aliens arrive, they expect a warm welcome… Posey Quinn has always believed there was more to the world than what she can see. So when she arrives in Stargazer with her head full of conspiracies and high-end hairspray, she isn’t entirely surprised to learn that instead of donating eggs for tuition money, she is being asked to make an alien fall in love with her, and become an ambassador for humankind. What she doesn’t expect is how irresistible Bond is, and how hard it will be not to lose her own heart to the man who plays her body like a violin. Bond is on Earth to fill one human female with as much pleasure as she can bear, a mission he’s finding very agreeable. But he’s not here to fall in love. 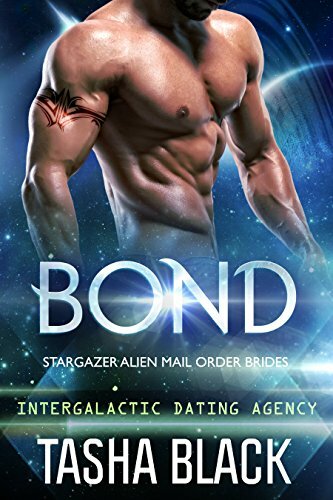 Tasked with using his powers of human seduction to glean what he can about Earth and its inhabitants, Bond knows that if the planet’s resources are worthy and its residents aren’t, his days of pleasing Posey will soon be at an end.